Skate Cape May 2011: Aina, Skate Cape May Revisions! 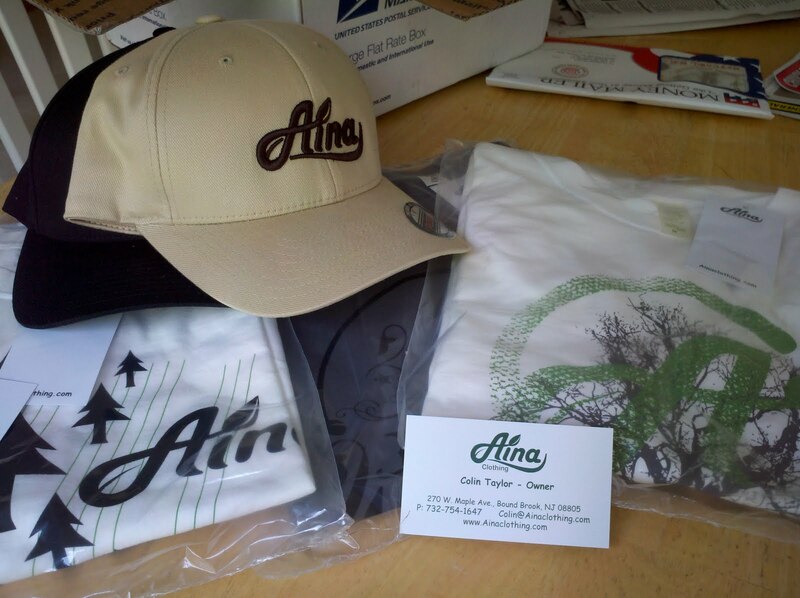 We received our first sponsor "care package" if you will from Aina clothing, owned by none other than Colin Taylor, who has been with us helping finding sponsors since last year's Skate Cape May. His shirts are 100% organic cotton and as a lifestyle brand is working at an eco-friendly approach to clothing. Many thanks to Colin again, be sure to check out his website at http://www.ainaclothing.com! (and see more information on our sponsors page! As a new introduction to our event this year, we're hoping to include people in on our journey, though only from one town to the next. As of now we're hoping to charge maybe 25-30$ per participant to come skate with us and also get a Skate Cape May shirt for doing so. (the money of course, will be donated to Alex's Lemonade Stand). As we work out the route for this year in further detail, we'll provide more information, so keep posted! So, if anyone wishes to come along and lives nearby one of the towns we start or finish at, feel free to register a spot by emailing me at contact@skatecapemay.com! 8/12 - 8/15 - ? Not much there, I know, but be sure to keep posted!